Sean Astin's Radio show - if you missed yesterday watch it anytime! Hey there everyone, I just wanted to say that ever since I heard that Sean Astin was doing a radio show starting up the 2nd season this May I have been a loyal watcher/listener to it. So if you wanted to listen to it but, you missed it, no worries!! You can watch/listen to it anytime right here!! Its a lot of fun to listen to him and I learned some very informational things that I wasn't aware of yesterday on his show. Check it out and see what its all about!! 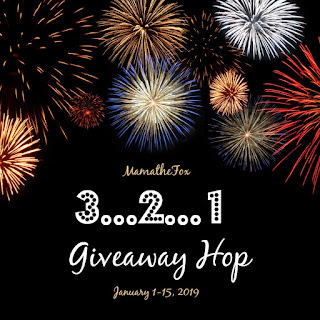 #2019Hop --- 2019 Giveaway Hop! 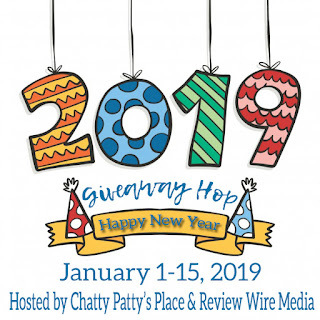 Welcome to the 2019 Giveaway Hop!! I am very happy to be a part of this hop and hope that you all enjoy entering to win some great prizes from all the blogs that are listed below! For my hop, I'm giving away a $25 Amazon gift card! Be sure to enter below for a chance to win the prize I'm giving away and be sure to check out all the other great blogs that are in this hop as well! Good luck to everyone that enters! #Giveaway --- 3, 2, 1 Giveaway Hop! Welcome to the 3, 2, 1 Giveaway Hop! I'm very happy to be a part of this great Giveaway Hop! I look forward to being involved in many more hops throughout the upcoming awesome year! The prize that I'm giving away is a $25 Amazon gift card! For this Giveaway Hop, I'm giving away a $25 Amazon Gift card to one lucky winner! So if you would like your chance to win this prize, be sure to enter below! If you like to enter giveaways be sure to check out all the others bloggers in this hop that are giving away prizes too! Jeepers! It's January! Giveaway Hop! Hello everyone and welcome to the Jeepers! It's January! Giveaway Hop! My prize for this awesome giveaway hop is for a $25 Amazon Gift Card! Be sure to enter for my giveaway that I'm giving away and while you're at it, be sure to check out all the other great blogs in this giveaway hop that are giving away things as well! The more you enter the better chance you have to win! Stop whining about the little things! Such a beautiful day out! Care2 click to donate today! Blog Opp - Foreverly $100 Giveaway!